Alfred Hitchcock, that master of cinematic menace, was a troubled individual. 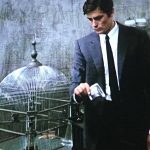 Perhaps more than any other filmmaker, he was responsible for altering the public’s perception of countless everyday objects and iconic locations. From an innocuous looking telephone in Dial M for Murder (1954) to the chiselled features of Mount Rushmore in North by Northwest (1959), he had that uncanny knack for making the familiar and innocent appear anything but. 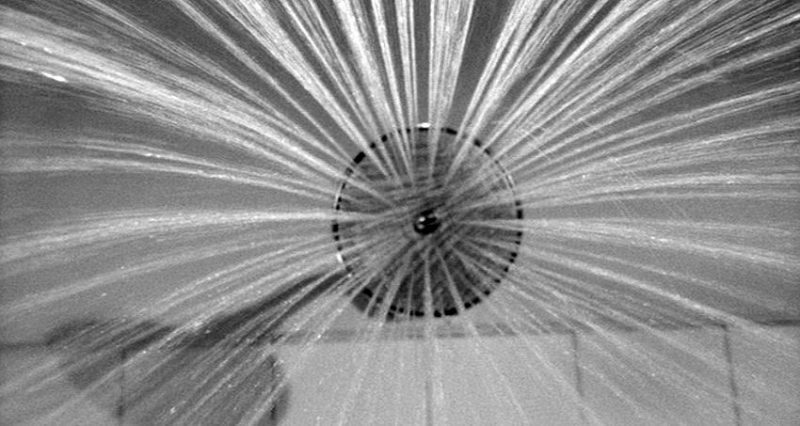 This dark gift reached its zenith with the ordinary bathroom shower in Psycho which, once Hitchcock had worked his perverted magic, took on the persona of a place of death and vulnerability, rather than one of relaxation and security. 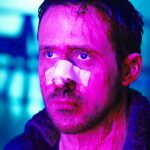 Not only did Hitchcock take the audacious step of killing off his star name, Janet Leigh, (who at the time was one of Tinseltown’s main attractions) a mere third of the way into the film – what’s worse was the way in which he did it. Of all the environments to choose, a shower is a place where we are at our most intimate. It is one of the few places in which you are (literally) laid bare; where you least expect to be interrupted (unless, of course, you want to be). 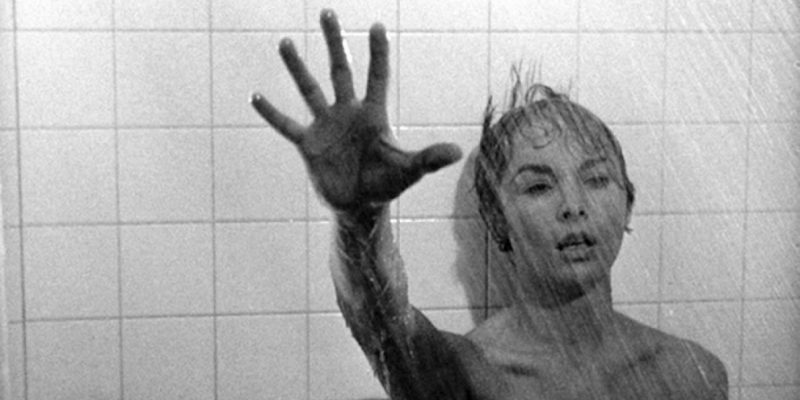 Marion Crane was a thief who deserved punishment, despite her apparent regret and intended repentance. The subtle symbolism of the shower washing away her guilt is not lost on the viewer. It goes without saying. 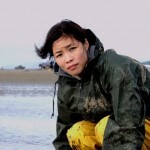 But did her crime really warrant such grisly retribution? As with all the best horror you believe you see more than you do. The mysterious killer’s knife is never actually shown entering Marion’s body, but this is of little consequence, as the close-ups of her anguished face and flailing hands are infinitely worse than gory viscerals. Author Robert Bloch’s pulp potboiler upon which the film was based is decidedly more graphic – in the book, the unfortunate Marion is decapitated. However Hitchcock was the master of less-is-more, and created one of cinema’s greatest shock scenes by playing as much on the invasion of Marion’s privacy as by the fate which ultimately befell her. His choice to shoot the film in black and white only highlighted the air of innocence defiled, with the juxtaposition of Marion’s rich, dark blood thrown into contrast against the white, womblike interior of the tiled bathroom. 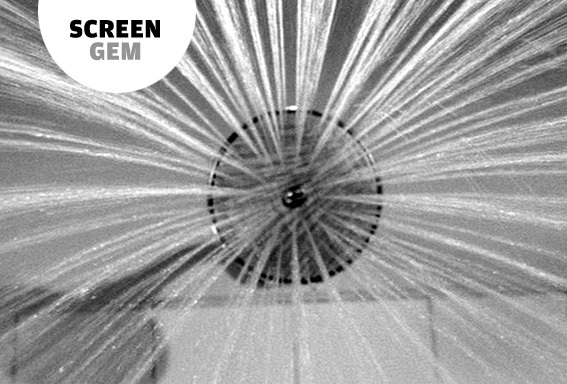 Legend has it that Leigh never took another shower after being subjected to Hitchcock’s onscreen machinations. After seeing the film, who would blame her?